After meeting with England’s Queen and other members of the royal family today, President Obama headed over to Westminster Abbey where he laid a wreath on the grave of the Unknown Warrior and signed the guest book. 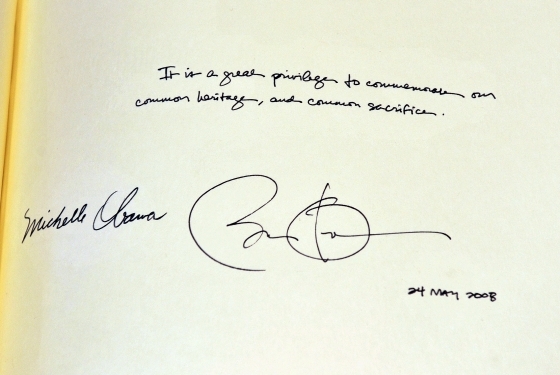 The excitement must have been too much for him as he wrote that his visit had occurred on May 24, 2008 – three years ago. The Telegraph confirms that it was Obama who wrote the wrong year after asking the day’s date.